POLITICIANS at Westminster have launched their own investigation into the crisis at the Virgin Trains East Coast franchise. The new inquiry by the House of Commons Transport Committee comes hard on the heels of a separate examination by the National Audit Office, which was announced at the end of January. The NAO, which is the official national spending watchdog, will be looking hard at the terms of the government’s possible deal with Stagecoach and Virgin Trains, which critics described then as a ‘bailout’. The franchise should have run from 2015 to 2023, but transport secretary Chris Grayling revealed at the end of November that it was to be replaced by an ‘East Coast Partnership’ from 2020. Those plans have also collapsed, as the full extent of losses sustained by Stagecoach and Virgin have become clearer. It is now known that Stagecoach, which has 90 per cent of the franchise, is alone set to lose some £200 million. The immediate future is looking uncertain. Chris Grayling could repeat history by taking the franchise back under public control, which was the remedy chosen in 2009 by the Labour government when National Express said it would have to surrender the contract. GNER had previously withdrawn from East Coast three years earlier. Mr Grayling could alternatively negotiate an emergency arrangement with Stagecoach and Virgin, which would then run East Coast on a not-for-profit basis for a limited period in return for a management fee. This was the mechanism chosen when GNER departed. Mr Grayling told the Transport Committee on 22 January that the franchise’s problem was ‘purely and simply about the revenue that it has received to date’. 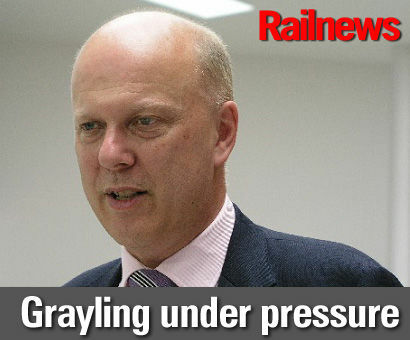 Then on 5 February Mr Grayling warned that Virgin Trains East Coast was likely to fail within ‘a very small number of months’, triggering further criticism from the unions and opposition politicians. The RMT has repeated its call for immediate and permanent renationalisation, while Labour’s shadow transport secretary Andy McDonald accused the government of propping up a ‘crumbling system’. MP Lilian Greenwood, who chairs the Transport Committee, said: “This failure – not once, but three times – has drawn criticism from all corners. “There are serious questions to be asked of the train operator, Network Rail and Ministers and the Transport Committee intends to ask them. The failure of the East Coast franchise has wider implications for rail franchising and the competitiveness of the current system. Lessons need to be learned by all concerned.